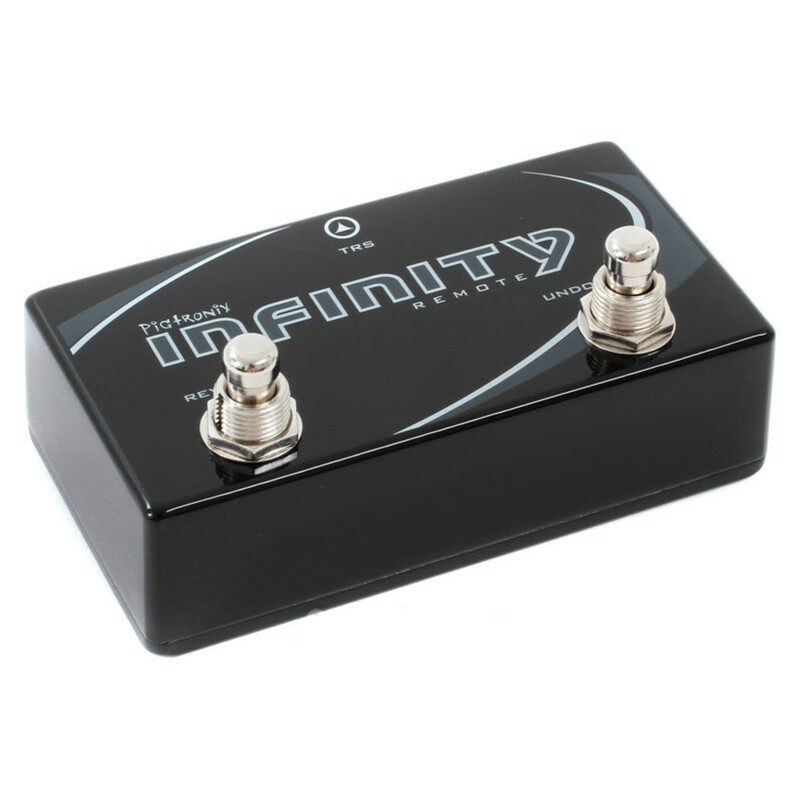 The Pigtronix Infinity Remote is a dual momentary switch designed to complement the Infinity Looper pedal, providing access to undo / redo and reverse functions as well as other combination input features. The Infinity Remote features an undo switch that when pressed will permanently erase an overdub that is in the process of being recorded, at the end of the current loop cycle. Any material from previous overdubs that has already been merged with the initial recording will not be undone. When an overdub has been recorded and closed (as indicated by a green loop LED), pressing the undo switch will remove that overdub instantly and retains the overdub for redo if desired. Any material from previous overdubs that has already been merged with the initial recording will not be undone. The reverse switch on the Infinity Remote will start reverse playback at the beginning of the next loop cycle. Once in reverse playback, pressing the reverse switch will make playback go forward at the beginning of the next loop cycle. During reverse playback you can use the undo switch to flip between forwards and reverse version of the same layer instantly. Hitting reverse and then undo before the end of the loop cycle will cancel the reverse command. Addition features include the ability to go directly from recording the base layer, straight into overdub mode, an instant clear function and a varispeed mode.